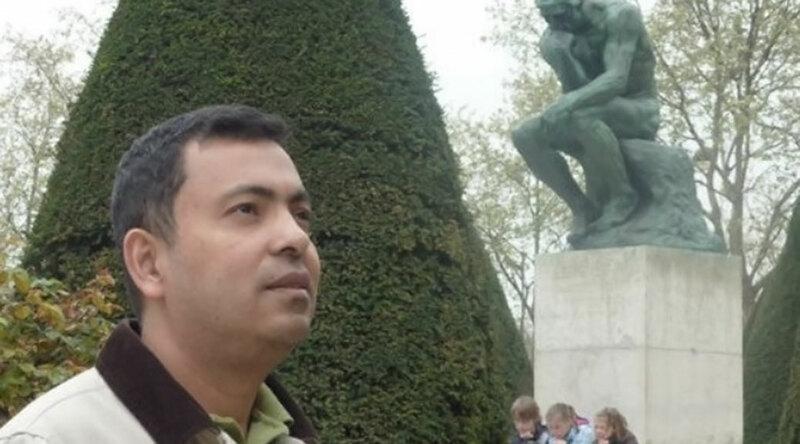 Dr. Avijit Roy was a Bangladeshi-American human rights activist and blogger known for his work defending freedom of thought and critical thinking. In 2001, Roy founded a forum for Bengali freethinkers called Mukto-Mona. Roy’s mission for Mukto-Mona was “to build a society which will not be bound by the dictates of arbitrary authority, comfortable superstition, stifling tradition, or suffocating orthodoxy but would rather be based on reason, compassion, humanity, equality and science.” Within a few years of its formation, Mukto-Mona grew from a simply forum to a website featuring articles from Bengali, and even non-Bengali, activists and academics (more here). In April 2013, in response to the Bangladeshi government arresting four atheist bloggers, Roy coordinated with Michael De Dora of the Center for Inquiry to organize worldwide protests for freedom of expression. In February 2015, Roy revisited Bangledesh with his wife for the Ekushey Book Fair in Dhaka. They were attacked but extremists armed with machetes; Roy died, and his wife barely survived. Roy was the author of eight books. He also wrote articles for the Center for Inquiry’s magazine Free Inquiry. His last article, titled “The Virus of Faith,” can be accessed here. In addition, Roy had earned a PhD in biomedical engineering from the National University of Singapore.